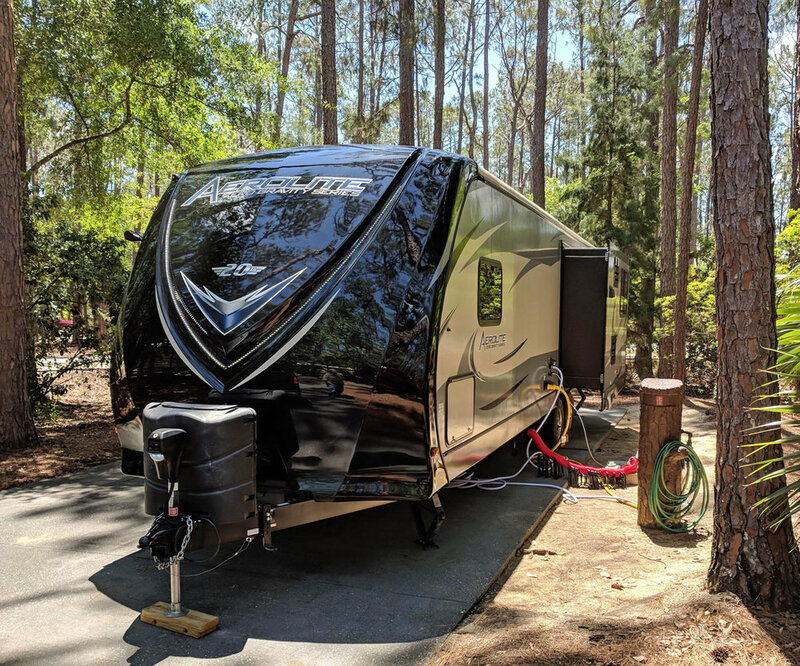 Kissimmee Orlando RV Rentals offers you this beautiful Aerolite M302 travel trailer for your vacation of a lifetime at Disney's Fort Wilderness or any of our beautiful state parks here in central Florida. 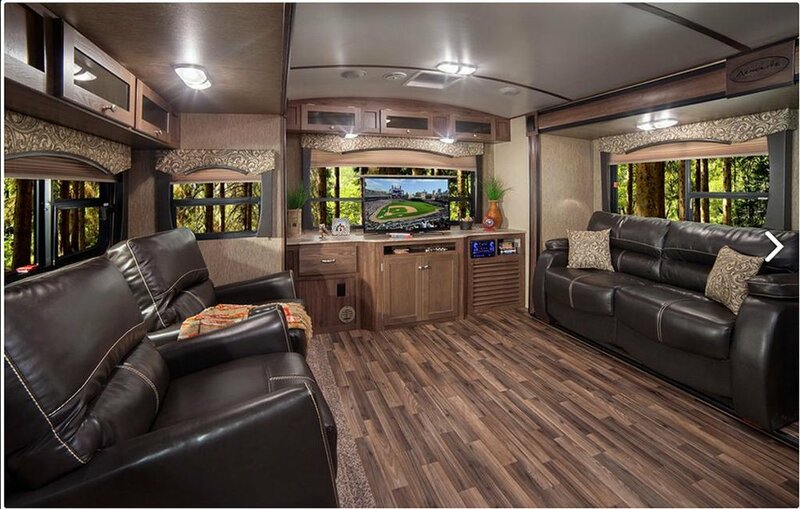 For luxury and comfort there is no better choice than Kissimmee Orlando RV Rental. 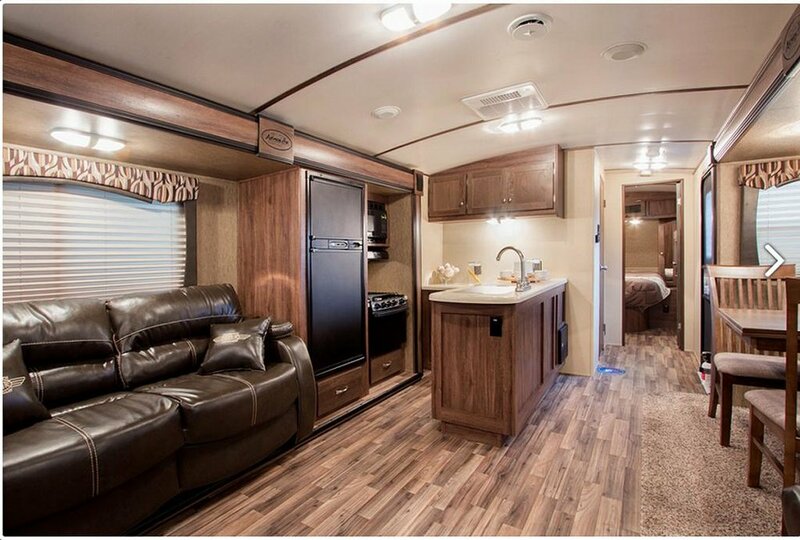 Your fully-outfitted Aerolite RV rental will include everything you'll need for a relaxing time like pillows and bedding for all sleep areas, towels, paper products, pots, pans, flatware set, cutlery set, coffee maker, toaster, blender, rice cooker/veggie steamer, broom with dust pan, cleaning supplies/garbage bags, plus much more. Let us deliver, set-up, and all you have to do is show up and enjoy! Reserve your Aerolite today! Reserve Our Aerolite Travel Trailer Today!